Found By Caldwell K, Feige J, Ho M, and Kawas N et al. 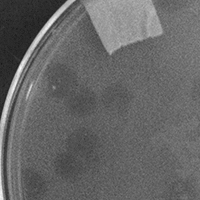 Discovery Notes Phage isolation performed by Kevin Caldwell, Jinal Feige, Michelle Ho, and Neal Kawas (fall 2011). DNA preparation performed by Krisanavane Reddi. Assembly performed by William Villella (UCLA) and confirmed by Daniel Russell (University of Pittsburgh). Preliminary genome annotation performed by Chase Fong, Ariel Hamill, Tae Wuk Ko, and Ethan Sim (winter 2013). Curation of annotation results performed by Tiffany Chow (spring 2013, UCLA) and Debbie Jacobs-Sera (summer 2013, University of Pittsburgh). Soil sample collected by Jinal Feige from apartment planter near UCLA. 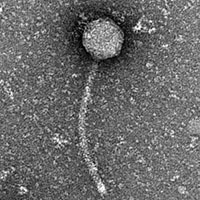 Naming Notes Prior name of phage was Feige. Changed to PhatBacter in May 2013.